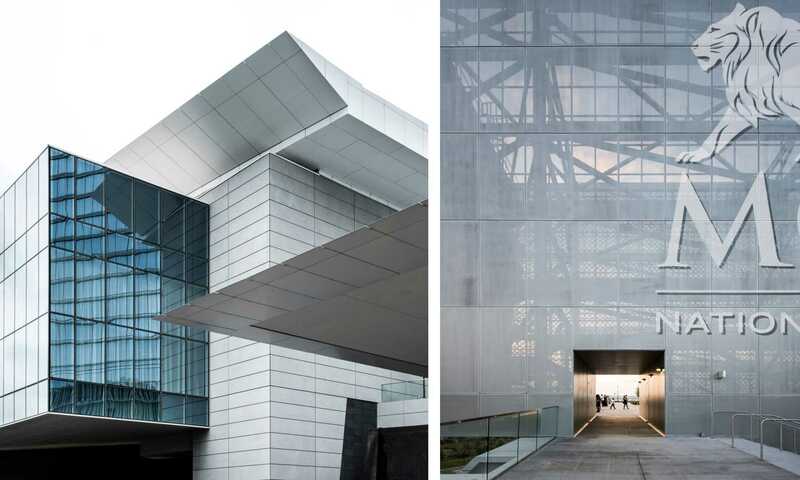 A preference for “white architecture” was established to respect the marble structures in the District of Columbia and the client’s vision called for a landmark tower inspired by the Washington Monument. 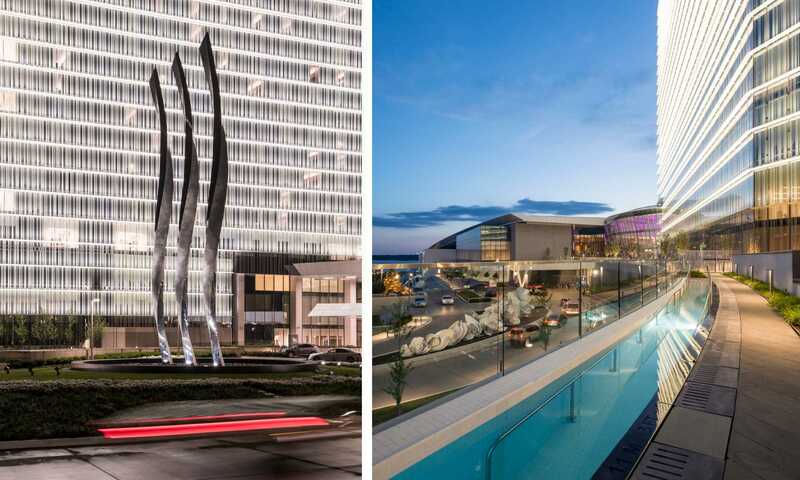 MGM National Harbor draws inspiration from the strength and timeless qualities of the capital’s architectural legacy and achieves its monumental scale through a single architectural gesture: a massive plinth, or base, which supports the primary program elements above. 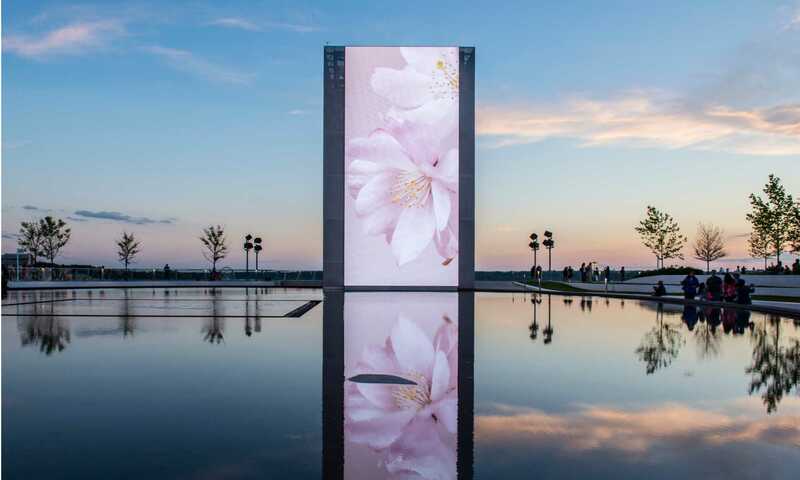 HKS designers organized it along a central spine – like the National Mall – connecting one sequence of guest experiences to the next. Guests enter the property through an oval conservatory bathed in natural light. The 80-foot tall conservatory is lined with restaurants and high-end shopping. Rising 24-stories, the hotel tower is the project’s landmark. Its angled and knife-like edge recalls the strong vertical form of the Washington Monument. The tower is rotated 33 degrees from the project’s axis to be parallel with the National Mall, deepening the relationship between the site and the heart of the District. A landscaped roof deck provides a gathering space and an expansive area for indoor-outdoor dining. 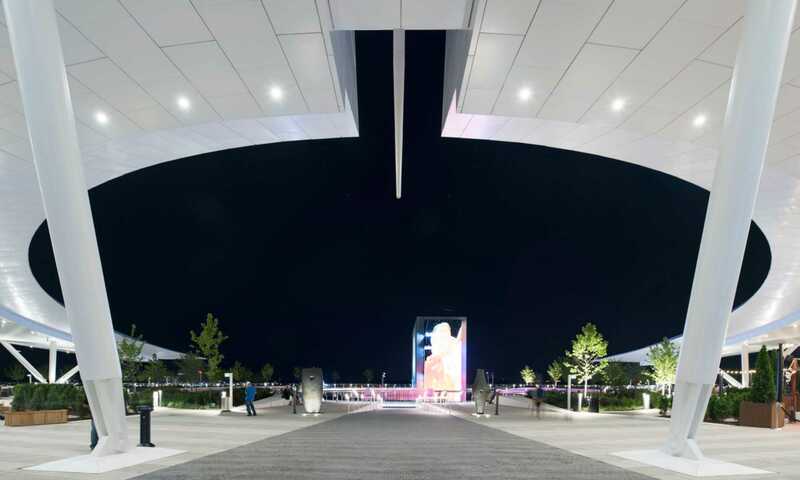 A digital façade, cantilevered off the point of the plinth, adds visual energy and brand identity. 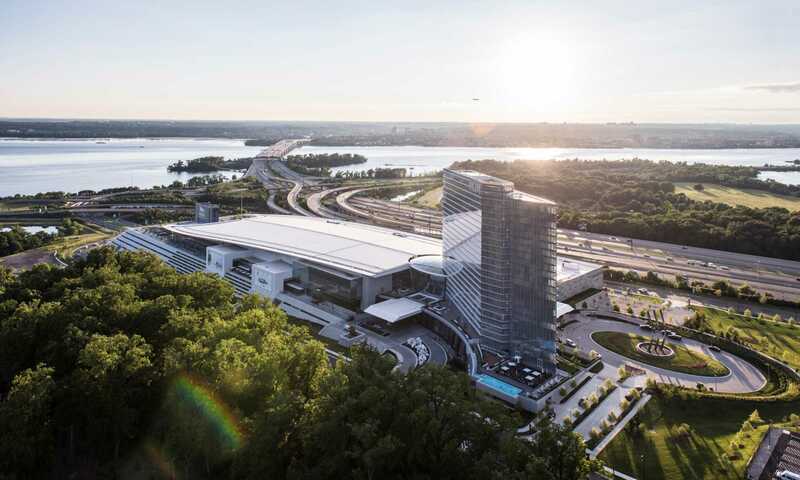 A bold, sweeping roof embraces the plaza to connect guests to unobstructed and panoramic views of the Potomac River and the Capital. 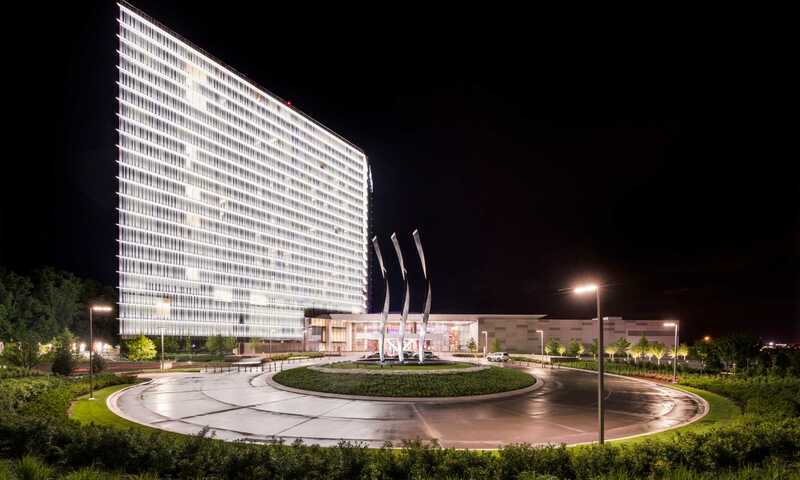 MGM National Harbor is a premier entertainment destination and the first luxury gaming resort in the Capital Region, employing 3,700 people. 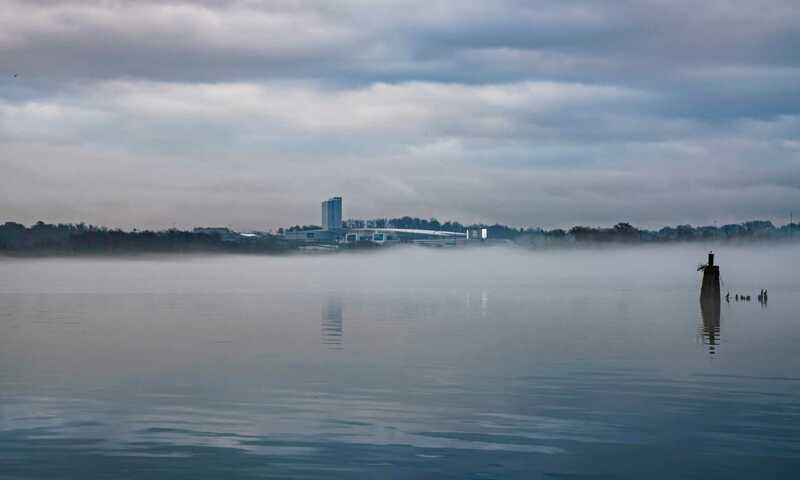 The hotel reached capacity 242 nights during its first year of operation and totaled more than 6 million visitors.